By Xah Lee. Date: 2018-04-06 . Last updated: 2018-06-24 . List of obsolete math software. Some in Java, some in Flash, some in Mac OS of 1990s, some Microsoft Windows, etc. stereop by mathematician John M Sullivan. This applet does Stereographic Projection of regular polyhedrons. User can choose any of cube, tetrahedron, octahedron, dodecahedron, icosahedron, and they are centrally projected onto a sphere. This sphere, is then stereo-graphically projected onto a plane. User can rotate the polyhedron, and see its image on the plane change accordingly. 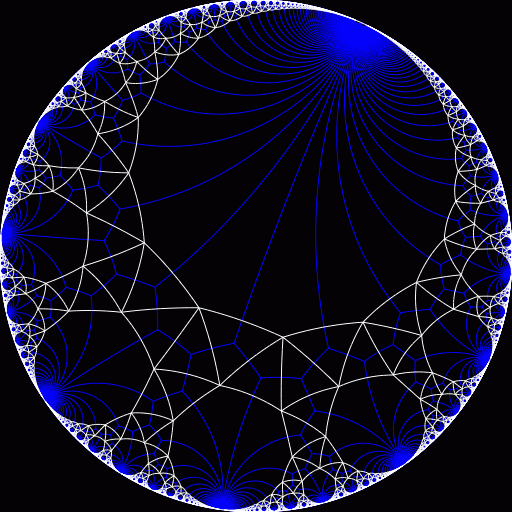 Mark Newbold has written some beautiful polytope visualization Java appletes. 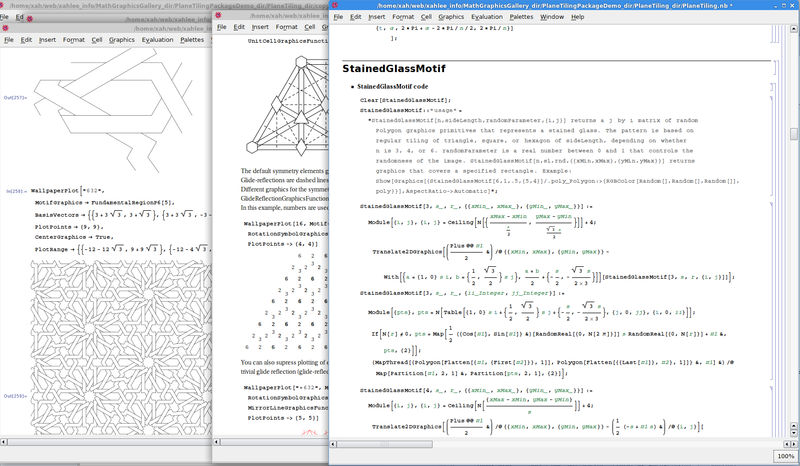 One is called HyperSpace Polytope Slicer, which lets you view any of the 6 4D regular polytopes by slice. Poly is another interactive 3D program that does polyhedra. This program contains a fairly complete set of regular and semi-regular solids that includes: Platonic, Archemedean, Prism and Antiprisim, Johnson, Catalan, Dypyramids and Deltohedrons. A special feature of the program is showing the solids as nets (graphs) and flat un-wrapped represenations. (the latter is good for making paper models of the solid.) Poly is a shareware. It's available for Mac and Windows. Tess is a symmetry-drawing program made by Pedagoguery Software Inc. Available for Mac and Windows. Escher Web Sketch. This is a Java program that lets user interactively draw symmetrical patterns. By Wes Hardaker and Gervais Chapuis. Tyler is a Java applet that draw tilings. It is written by Melinda Green and Don Hatch. PlaneTiling is a Mathematica package for tiling and symmetry illustrations. Author is Xah Lee (me). Requires Mathematica to run. For more programs that does symmetry or tiling related topic, see Wallpaper groups: References and Related Web Sites. HyperDimension 1999 Ishihama Yoshiaki has written several interesting programs. Many of them are related to high dimensions, including a 4 and 5 dimensional Rubic cube simulators. His programs are small and original, but the interface is very crude. Check out his webpage for more. HyperSpace 2.0 (1990) is another higher-dimensional polytope viewer, by Paul Bruke. It does not let you drag and spin, but offers both multiple slice view and projection view on about 4 regular polyhedrons. Hyperbolic Tesselations Applet draws hyperbolic tilings. Superb! By Don Hatch. MoebApplet, by Paul Murray. This Java applet does real-time interactive Mobius transformation. If you are studying Mobius Transformation, this is the best applet for it. You can drag the fixed points, the poles, and a few other critical points in the plane and see the image change as you move. Interactive plane geometry software were made popular first by Geometer's Sketchpad at least back to 1994. It is a wonderful tool made possible by technology. Such program allows one to construct plane geometry drawings dynamically, much in the way of Greek's “Ruler and Compass”. For example, draw a triangle with lines bisecting the 3 angles. They intersect in a point called the incenter of the triangle. (which is also the center of the largest possible circle inside.) Now, you can drag the corners of your triangle to change its shape, and all your drawings change accordingly. Because of such dynamic power, a few theories on plane geometry have been found because of such software. In the 1990s, there's only Geometer's Sketchpad and Cabri Geometry. In late 1990 came Cinderella, written in Java. But since about post 2000, there's a explosion of interactive geometry software. As of 2007, there are more than ten of them (counting only quality ones), many of them are free. They are all similar. They are all of high quality. Almost all of them can be saved as Java appletes so that it can be placed on the web for students to use without needing extra software. Their features differ slightly. Several of them are FreeSoftware. The following is a short commentary of the ones i've actually used (except otherwise stated). Simulations by Ishihama Yoshiaki. This program does lots of artificial life simulations. The program is a bit of crude. It works like a screensaver, where you just watch the interactions on the screen, and you can adjust some parameters. The program has simulations like flocks of bird, fish school, worms, swarms, and also simulate centipedes showing its gaits, and then spiders, ants, etc. It's basically a collection of simulations that satisfies the programer's curiosities himself. Not a full-fledged program nor polished, but very inspiring. Boid by Craig Reynolds, is one of the original boid machinenary. Basically, it is computer simulation of the bahavior of flock of birds or school of fishes. The gist is that each move according to the behavior of their nearest neighbors. Fascinating. Cellebration by Mirek Wojtowicz plays ~12 types of Cellular Automata. This Java applet plays many types of CAs. The complete source code and binary are available for download. 2002-05: many good cellular java appletes programs written by computer science students on a CA course. Includig cellular automata on triangular and hexagonal grids, as well as some regular tilings. Professor is Carter Bays. Puzzler is a Windows program by Noel Dilabough. Puzzler plays all types of magic polyhedrons. Puzzler plays some 20 non-trivial variations of magic polyhedrons, including the five platonic solids with different cuts. The program is great, unique, but the interface is very bad. Extremely frustrating to use. Puzzler is a shareware. MagicCube4D by Don Hatch and Melinda Green. 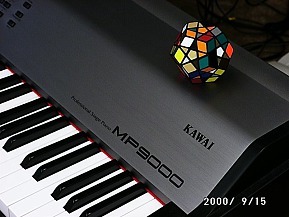 It plays 4-dimensional Magic Cube. It also maintains record of the world's first solvers and a solution database. The source code is also available. 4DRubikCube by Ishihama Yoshiaki is a 2x2x2x2 magic cube simulator. Polyominoes is a polyominoes fitting game. Written by Kevin L Gong. In this program, you try to fit a set of polyominoes (connected squares) into a given shape. In another mode, two players take turns fitting polyominoes into a give shape. The first without a fitting piece losses. It's almost impossible to beat the computer. Mac, Windows and Java. Pentominos Puzzle Solver A pentominos solver, by David Eck. ★ Tangram (v 4.1, 1999-07. ) Tangram is a popular tiling puzzle that's probably originated from China. The goal is to arrange a set of seven tiles to match a given shape. This software's interface is beautiful and well-designed. Author is S. T. Han (sth@kagi.com). ★ Poly-Peg 1.09 by S T Han. This puzzle is sometimes known as peg solitaire. You remove pieces on a board by jumping other pieces over it. The goal is to leave only one piece on the board. PolyPeg lets you edit your own shape of square or hexagonal board and set whether diagonal jump are allowed in square board. It also include a auto solve feature. Pegged is a small mac program that plays Peg Solitare. 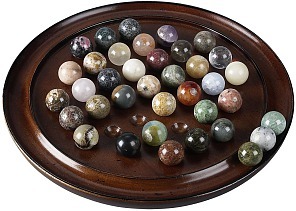 It offers the traditional cross shaped board, but with 7 arrangement of end games. Written by Cary Torkelson in 1991, but still works great under Mac OS X Classic 2003. ★ Poly-Off 1.09 is another excellent shareware by S. T. Han. The game Poly-Off can be thought of as one type of cellular automata. In a square or hexagonal grid, you switch on or off a cell that will affect neighbor cells. The goal is to switch off all cells. I had lots of fun with this program. ★ Poly-Dol v.1.01 by S. T. Han. The puzzle in this program is similar to a commercial program named Cogito. You shift pieces on a board until all the pieces are in certain order. You can only shift pieces in certain row, column, or array of the board. There are dozen boards to choose for play and you can make your own board shapes. I find this program to be much fun. For Mac and Windows. ★ Poly-Tile v.1.04 by S. T. Han. This puzzel is similar to a commercial program named Tesserae, published by In-Line designs Inc. In this puzzle, Tiles of different design are layed over a board. You remove them one at a time by jumping (flipping) adjacent tiles of the same design. The goal is to leave only one tile on the board. I find this game too difficult. It's also hard to analyze because the random initial placement and designs. Like Poly-Peg and Poly-Dol, you can customize your board when you got bored with the given configurations. 2005-10: Sokoban (倉庫番=warehouse keeper) is a classic game invented by Hiroyuki Imabayashi in 1982. It is a puzzle where the player pushes boxes around a maze to designated locations. ★ MYHOUSE is a clever and fun logic puzzle, by M Aono. It is a variation of the classic Sokoban. Your goal is to move a bunch of shrimps home. The shrimps move in sync. When one bump into wall, it doesn't move but the rest moves. The red blocks are fire and if one shrimps runs into it you die. Your goal is to align all shrimps in such way to move them home. This puzzle is known as the 15-puzzle. Klotski is a classic sliding block puzzle. Your goal is to slide the red block all the way to the right side center. Yes, it can be done. This puzzle is dicussed in Scientific American, March 1995 (Volume 272 Number 3 Pages 108-110), Mathematical Recreations by Ian Steward. A beautiful wooden set of this puzzle has been marketed by various companies. Loyd's Lunacy is another block-sliding logic puzzle. The goal is to slide the large square from upper right corner to upper left. Author is Chip Moody. Written in 1990 but still works great under Mac OS X Classic in 2003. This program has a very funny “About” dialogue. Dirty Dozen is a block-sliding logic puzzle. Writen by Nick Triantos in 1993 but still works under Mac OS X Classic in 2003.
by Viktor Massalogin. KriviznaPlus draws the Stereographic Projection from 3D to plane. KriDva draws the stereographic projection of S^3 sphere (x^2+y^2+z^2+z^2==r^2) to the 3D space. These programs are extremely fun and beautiful. I hope the author adds more explanations on the math. As of 2004, he added another version CPace. xscreensaver by Jamie Zawinski is a screesaver for unix's X-Windows. A huge collection. Koch Toy by Jim Burgess is another excellent simple program. It draws simple fractal curves like that of Koch snowflake. User drag points on a line and immediately see its effects after n iterations. The number of kinks can be adjusted by dragging the nodes. Clicking on a arrow button increase or decrease recursion depth. Vectal draws simple fractal curves like that of Koch snowflake. User drag points on a line and immediately see its effects after n iterations. One feature of Vectal not in the mac Koch Toy is that user can change the sided-ness of the fractal on each line. Fracture , a fractal-generating screensaver, by Ben Haller. Ben is also the author of the famous AfterDark screensaver module Satori, Rose, Lunatic Fringe. (Satori is the mesmeric color changing pattern. Rose is the dotted pattern of the math rose curve). Bulli Python by Andrew Cooke. This program generates Parquet deformations (gradual shifting of patterns). You need to be a python programer in order to install and use this program.